Powermat’s mobile-optimized engagement platform can arm store owners with powerful insights into their customers’ buying behavior— their last visit to your venue, length of stay, the number of special offers they’ve redeemed, etc. You can then use this wealth of data to build targeted ad campaigns to reach customers, both in and out of store, with customized offers, tailored content and special rewards. 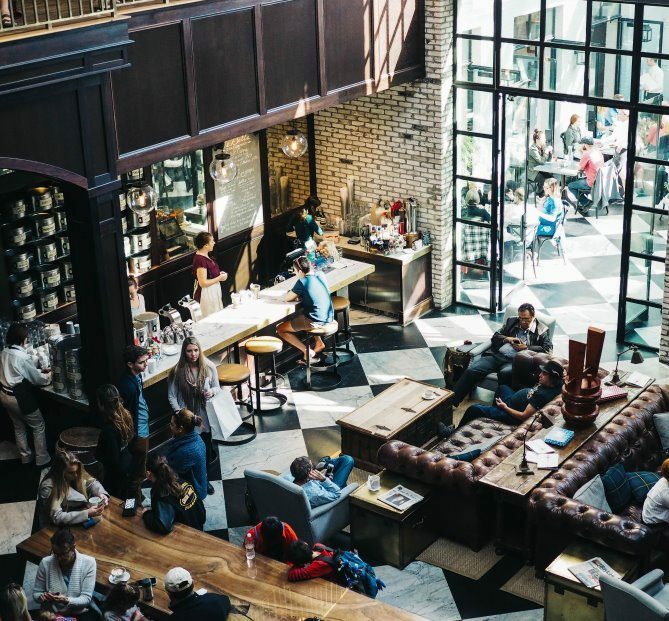 If you’ve read our last two posts, you know that you can supercharge your venue’s sales by installing wireless charging, and you’ve seen the stats that show Powermat’s mobile engagement platform is proven to generate repeat business and increase revenue. However, if you’ve recently installed Powermat Charging Spots in your venue or are at least considering it, you may still be wondering how you can get the most out of your mobile ad campaign. According to our survey, 3 in 4 Powermat users are interested in receiving special offers while charging their phone in store. But it’s still up to you to create a mobile ad campaign that your customers respond to. After all, it’s you who knows your customers best. Bear in mind that banners on mobile devices are small. For that reason, we do not recommend that you simply adapt your existing PC banners for the Powermat platform. To ensure you get the best results from your campaign, design your ad from scratch. Consider the message before designing the banner. Come up with a short, catchy, enticing phrase that clearly describes your offer in no more than 8 words. Content should be easy to understand. Keep it short and to the point. If it’s free – say it. Same goes for discounts or any other value proposition. Integrate a clickable “button” into the design. The visual trigger of a button has been proven to increase brand awareness, mobile engagement and total conversions. Use colors that contrast significantly from the ad’s background. Place the button at the bottom-right of the ad. Keep in mind the banner appears on the Powermat app screens, where your logo is highly visible. Therefore, there is no need to place your logo in the banner as well (does not apply to full page ad). Illustrations must be clear at a glance. Images should inform your audience about what your offer is. Keep the focus on the text. Cluttered banners take users longer to scan and they are much less effective. Images should be relevant, not too detailed, and should be easy to recognize. Follow this advice on fonts & colors: Use legible fonts. Font size should be as large as possible. Use contrasting colors. Mobile banner design should be easy to understand have a clear call to action. For more information on how you can use Powermat’s mobile engagement platform to drive customers to your brick-and-mortar business, please visit Mobile Engagement Platform.